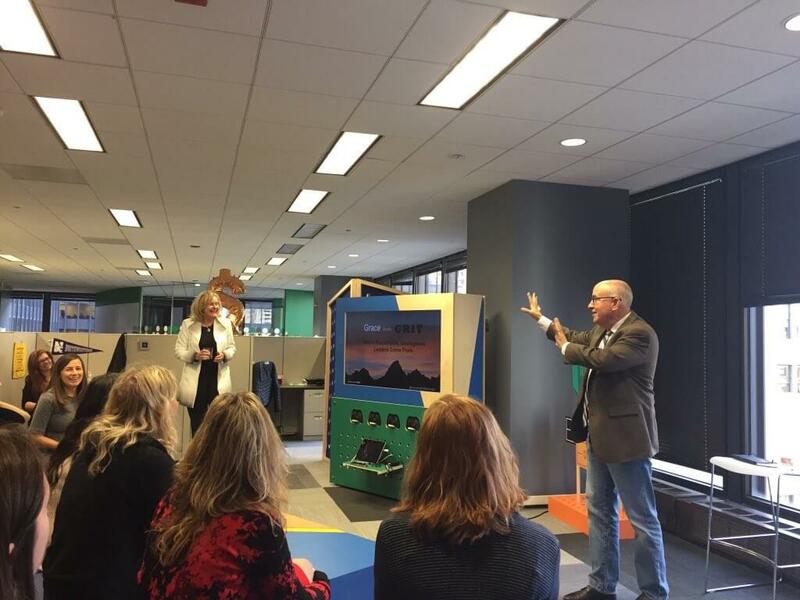 We had the pleasure of hosting Daina Middleton, former CEO of Performics, for her recent launch of Grace Meets Grit: How to Bring Out the Remarkable, Courageous Leader Within, a book that speaks to different leadership styles and empowerment in the workplace. While Daina discussed female empowerment, particularly in the workplace, she also touched on gender differences – the fact that males and females have different leadership qualities. And while they vary, both styles have great benefits for different reasons. We all have masculine and feminine traits in the way we interact with colleagues and in the way we build relationships. Ultimately, when “grace” (female qualities) meets “grit” (male qualities), the most efficient type of leader is produced. However, the majority of senior executives in the workplace is still predominantly male. As of now, only about 3% of women hold senior roles. But, “women are naturally transformative leaders,” says Daina. So, why is there still such a significant gap in the workplace – from pay to power – and what can we do to empower women to rise the ranks? The best thing we can do for one another is advocate and show support. If we don’t support each other, no one else will. The best leaders are those who listen to outside perspectives and help others achieve their goals. As a manager in the workplace, you can offer your time and support as a mentor, helping your employees to achieve their goals and breaking down barriers that may exist in the workplace. And as a lower level employee, you can offer your time to listen to your peers and work together to solve issues in the workplace. Everyone brings a combination of grace and grit to the table. Some of us lean further one way, but neither one is better than the other. It’s a matter of embracing and balancing out your qualities, learning the best way to lead and understanding your weaknesses. Leaders continually work towards self-improvement, becoming a better manager, boss, inspiration, etc. It’s important to remember that different is not bad. For example, in Grace Meets Grit, Daina offers explanations as to how and why women have different decision making tactics than men. One of the main reasons is because of the way our brains are wired. While men typically make decisions instinctively, women are much more inclusive about making decisions. 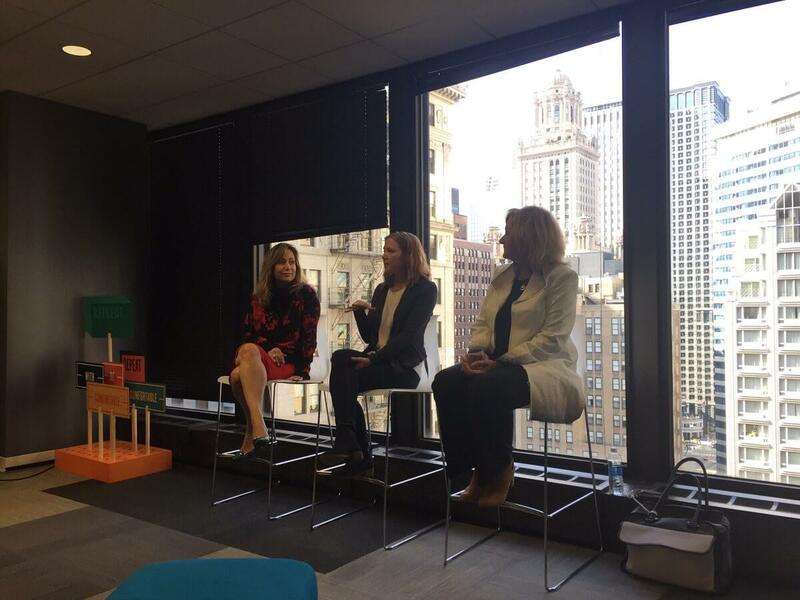 In a panel with Daina, Patricia Powell, Chief Financial Officer of Performics, and Melanie Mitchell, RVP/Head of Central Region, Strategic Research at Microsoft, the topic of fear was discussed. All three women stated that if you’re not fearful of moving into a new position, then you’re too comfortable. And when you’re too comfortable, you aren’t challenging yourself. Without challenging yourself, you can’t truly grow, both professionally and personally. VivaWomen, a network within Publicis Groupe, was founded in 2011. Its mission has been to support women in their personal and professional growth. Daina has had an incredible career that included running Global Business Marketing for Twitter and CEO of Performics. She serves as Director on the boards of Marin Software, Healthwise and the Teton Valley Community Foundation. Her work has been published in Forbes, Fast Company, the Huffington Post and she has appeared on CNBC. She is a regular international speaker with appearances at Social Media Week, ad:tech, WOMMA, Google, 3% Conference, VideoNuze and iMedia. In 2013, she received the Gold Stevie® Award in the Executive of the Year – Advertising, Marketing and Public Relations category, in the 10th annual Stevie® Awards for Women in Business.